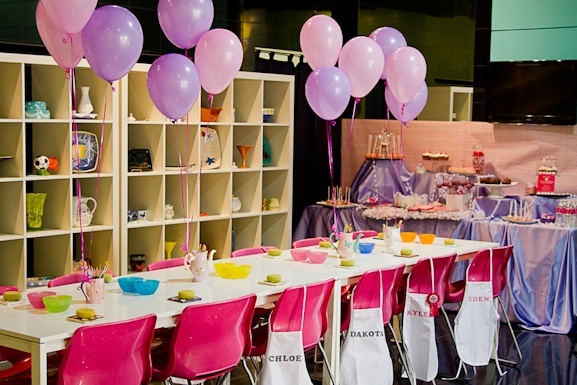 A pottery or art party is a great theme anytime but especially for a winter birthday. Kids love to create and it’s a perfect indoor activity. The beauty of this party is that you host it at a pottery shop or art studio and the primary activity is already covered for you. 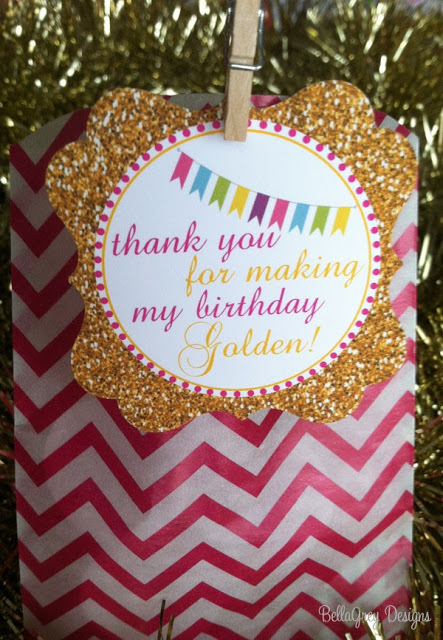 That leaves you time to focus on the fun stuff like party decor and favors. Here are some of my ideas along with a few visual gems from Pinterest. When I threw this party a year or two ago, I added the pajama twist. We hosted our party on a Saturday morning at a local ceramic pottery shop. The party guests were encouraged to roll out of bed and come paint in their pjs! 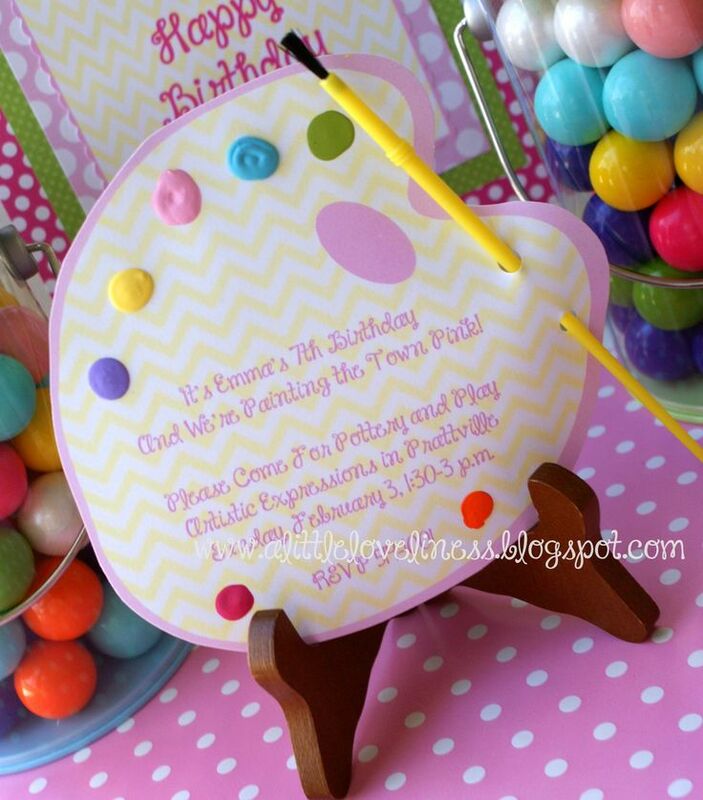 Invitations: With a few scrap booking supplies and some paint brushes from the dollar store, you can put together the darling invitation below. 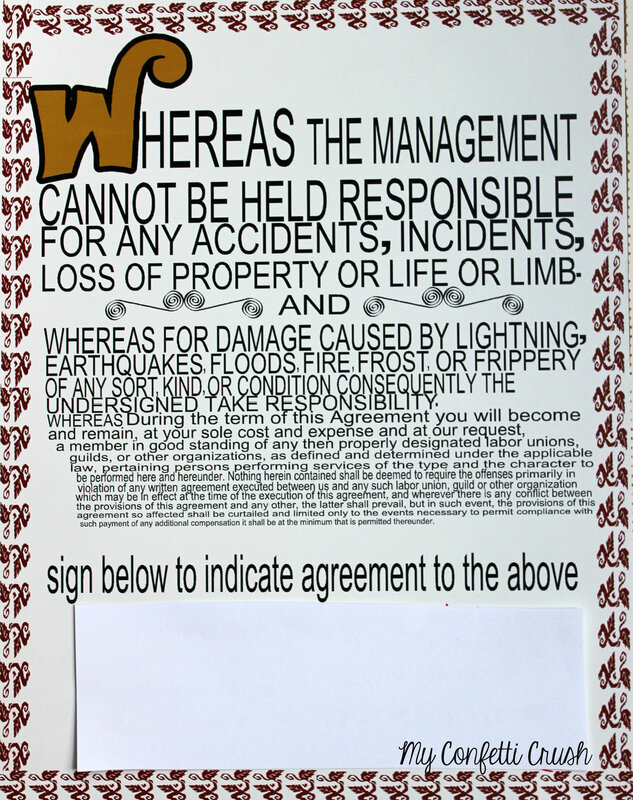 I suggest hand delivering these vs. mailing them to avoid damaging the invite. 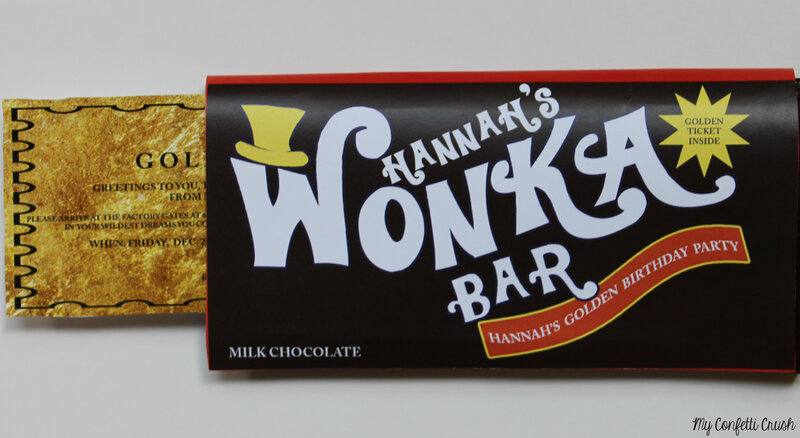 If you don’t have the time or inclination to make invites, you can purchase a similar invitation here. 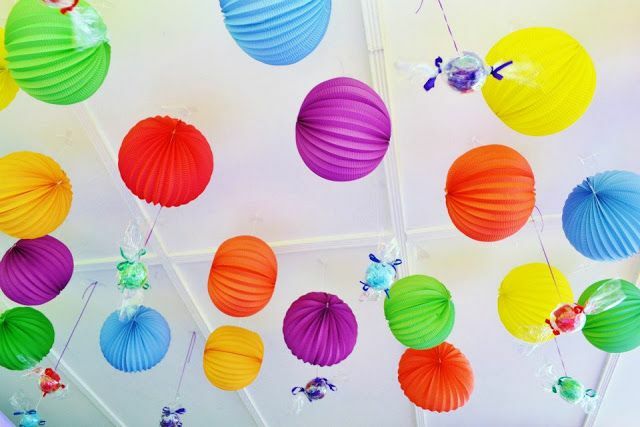 Decor: Bright color drives the decorations for this party. You’ve got budding artists to inspire! And what’s a birthday party without balloons!?! The personalized aprons are a fabulous idea for designating your seating arrangement, keeping clothes clean and can double as a party favor. Click here for an Etsy shop that sells aprons + personalization. Or purchase a 12 pack of colorful aprons here and you can do your own iron-on transfer (Hobby Lobby has some cute options). Cupcakes: Bring on the sprinkles! 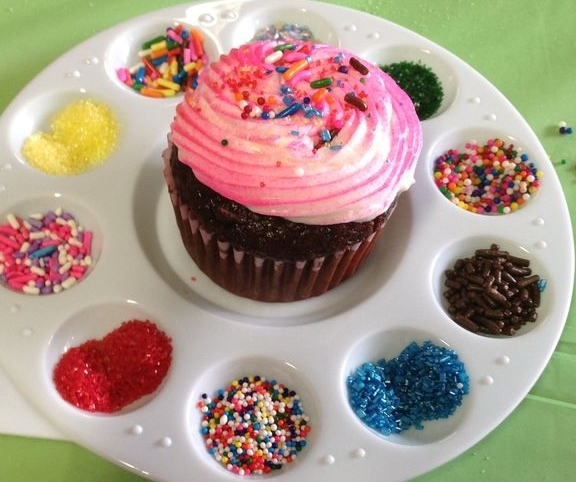 Party guests decorate their own cupcake with a palette of decorative, tasty toppings. You can purchase the palette trays in bulk here. If you prefer cookies over cupcakes, here’s another sweet idea that plays off the paint palette theme. 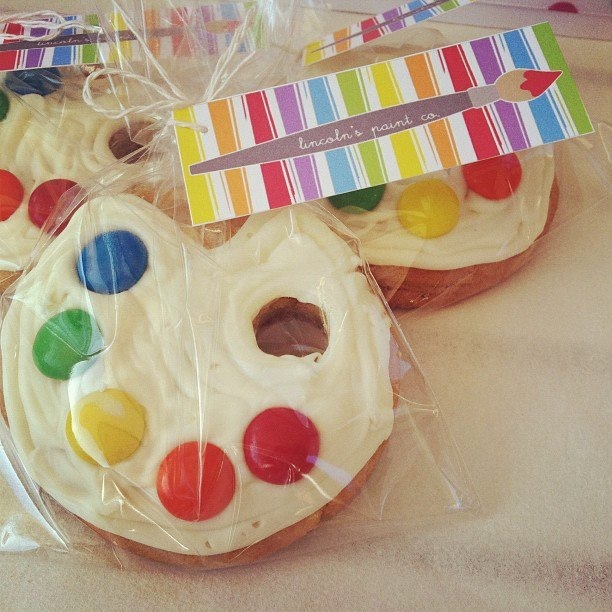 You can buy the cookies from an Etsy seller like this one or do it yourself and buy this paint palette cookie cutter for only 3.99! 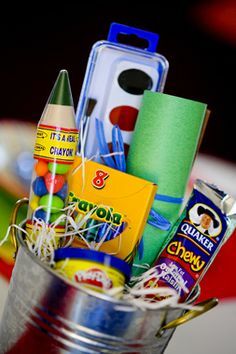 Party Favors: Your guests will get the pottery or artwork they created which is a super cute favor in and of itself. If you want to add a little extra you can also give them a few art supplies (see below) or the apron I mentioned previously. 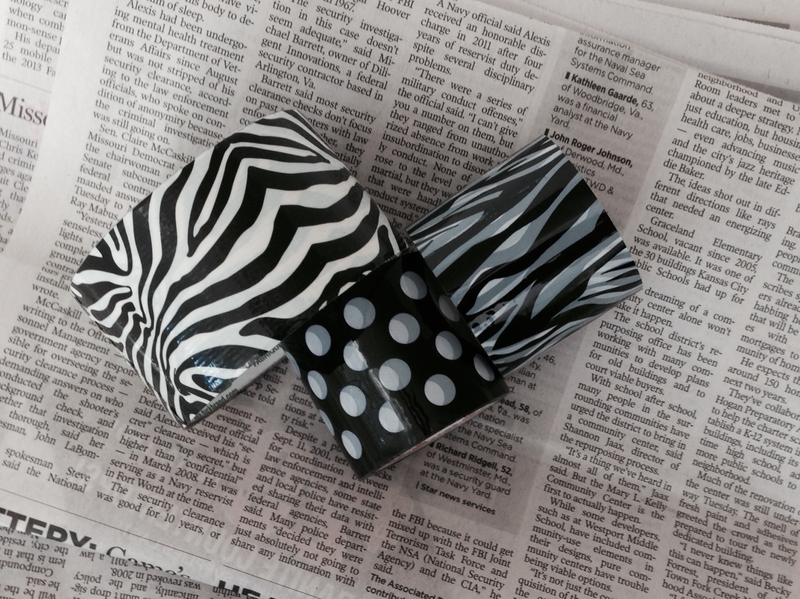 For more pottery and art party ideas, visit my Pinterest board. 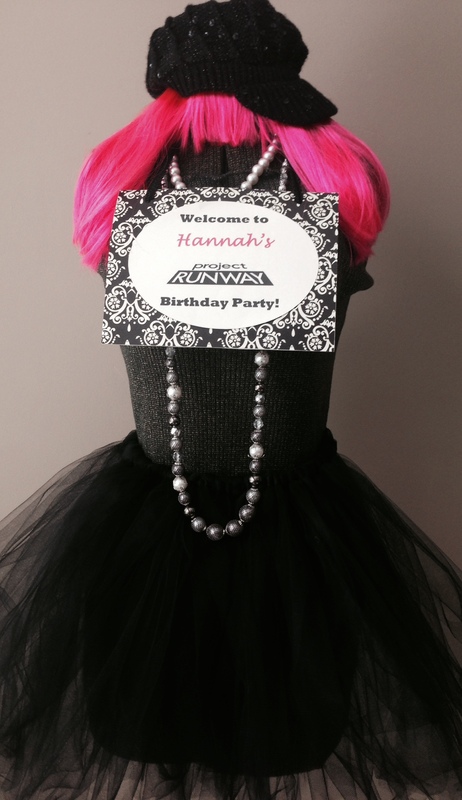 A Project Runway party is the perfect theme for the budding fashionista! It’s an easy one to pull off and you can host it at home (which can be a blessing or a curse depending on your perspective!). I happened to have a vintage dress form that we could decorate. Hobby Lobby and JoAnn’s both carry metal forms and they’re a cute addition to a girls room after the party is over. For our dress form, I made a black tutu which was super easy and required no sewing. You can find a 5 minute YouTube tutorial here. 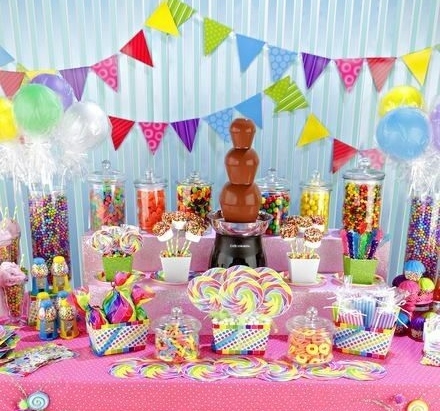 Then add some fun accessories and you’ve got a great party prop! This theme was all about the activities. 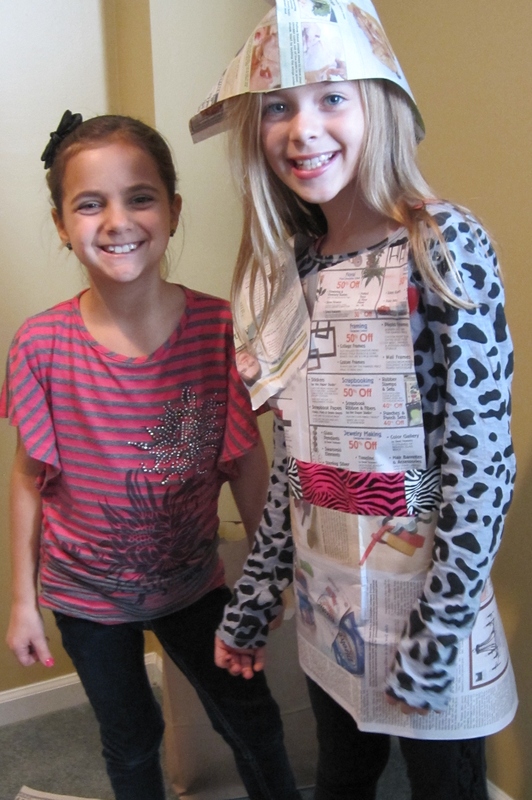 The first “challenge” the girls faced was to create an outfit from the mystery materials we gave them. We put the girls in teams of two; one girl was the designer and the other was the model. Each team was given a paper sack filled with newspaper, duct tape, scissors and glue. Most craft stores have tons of duct tape in cool patterns and colors. The models then walked the runway to show off their outfit while the designer explained what they had created. The girls blew us away with their imaginative designs and accessories! After the fashion show, the girls each designed their own purse. In the spirit of Project Runway, the purse had to be created from a jeans pocket. 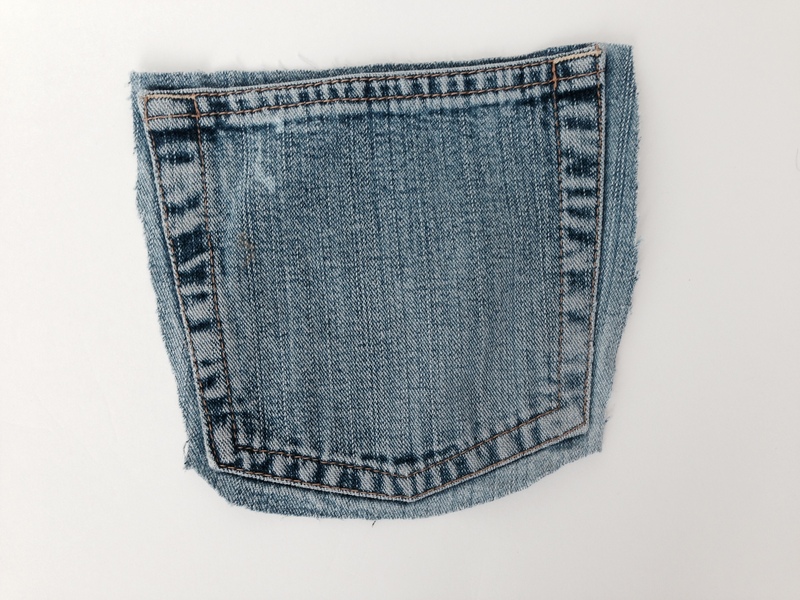 Before I started cutting up all my husband’s old jeans, I looked on Etsy and found a seller with 20 (pre cut) jean pockets for sale. Bingo! 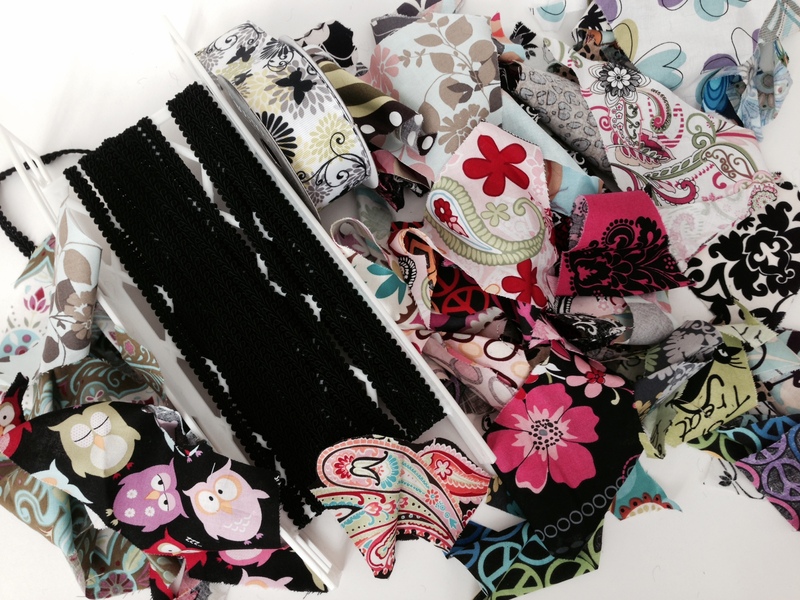 Prior to the party, my daughter and I went to our local craft store and bought fabric remnants, ribbon, feathers and other embellishments (look in the discount bins). You’ll also need several bottles of fabric glue. I did have a couple of helpers on hand to glue the black upholstery trim for the purse strap (trim can also be found at craft stores). Extra hands and glue guns helped it go much faster. 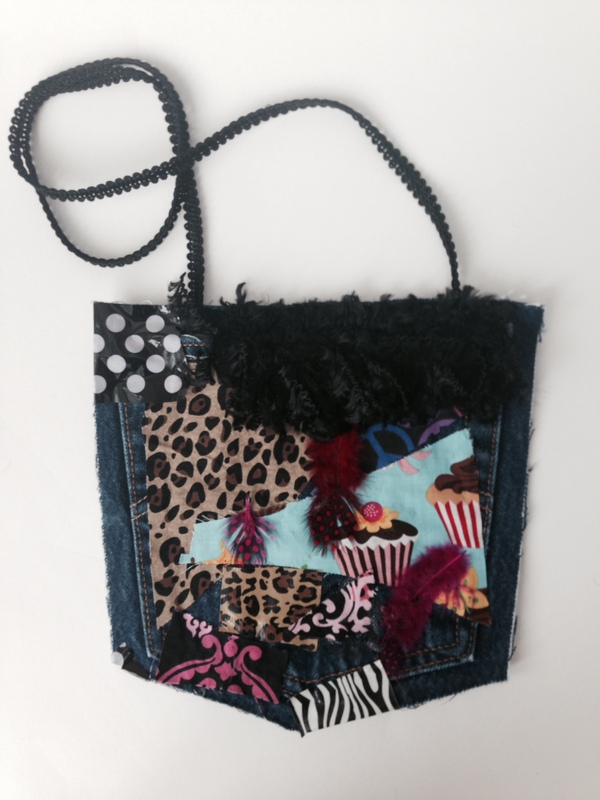 Below is the denim pocket purse my daughter made. 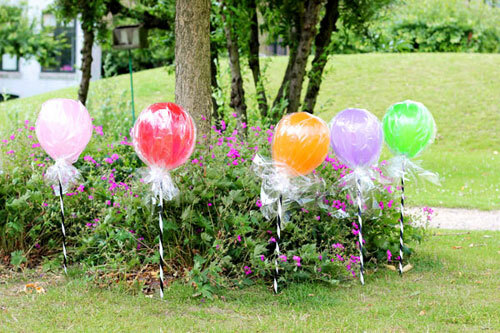 The fun thing about this craft is that it can double as one of their party favors! 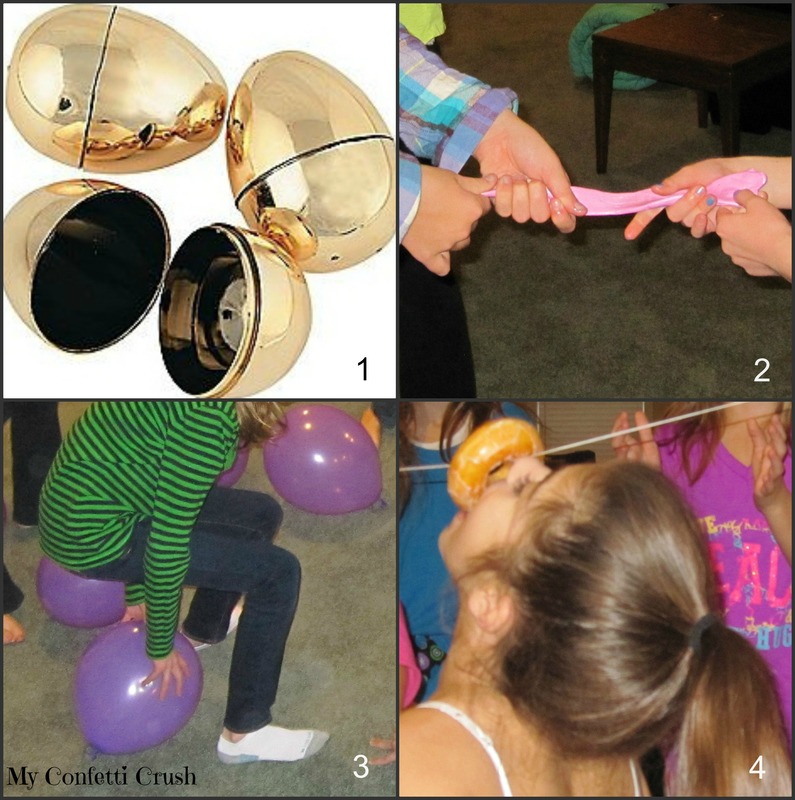 Another fun activity for this party theme is a fashion magazine scavenger hunt. Create a list of items to find like green heels, hat, the word Fashion, painted toenails, fancy dress, etc. Form 2-3 teams and have them search magazines to find, cut out, and glue their items to a poster board. The team that collects the most items on their list wins! In addition to their denim pocket purse, each girl took home a goody bag filled with candy and a travel sized sewing kit complete with a cloth tape measure (from the Dollar store). This party is as much fun to plan as it is to throw. And who knows? You might just jump start the career of a future fashion designer! For more ideas for this party, check out my Project Runway Pinterest board here.